2015 was the European Year for Development. It was also the year that the UN Committee on the Rights of Persons with Disabilities reviewed progress by the European Union in its implementation of the Convention on the Rights of Persons with Disabilities. In its concluding observations, the UN Expert Committee recommended that the EU “adopt a harmonised policy on disability-inclusive development and establish a systematic approach to mainstream the rights of persons with disabilities in all European Union international cooperation policies and programmes, to appoint disability focal points in related institutions, and take the lead in the implementation of disability-inclusive 2030 Agenda for Sustainable Development”. Beyond being recipients of development projects, therefore, persons with disabilities should also be considered as potential contributors towards development initiatives. This is especially true when focusing on autism where DPOs working in this field, and self-advocates in particular, should be present in devising and contributing to projects looking to benefit autistic people. 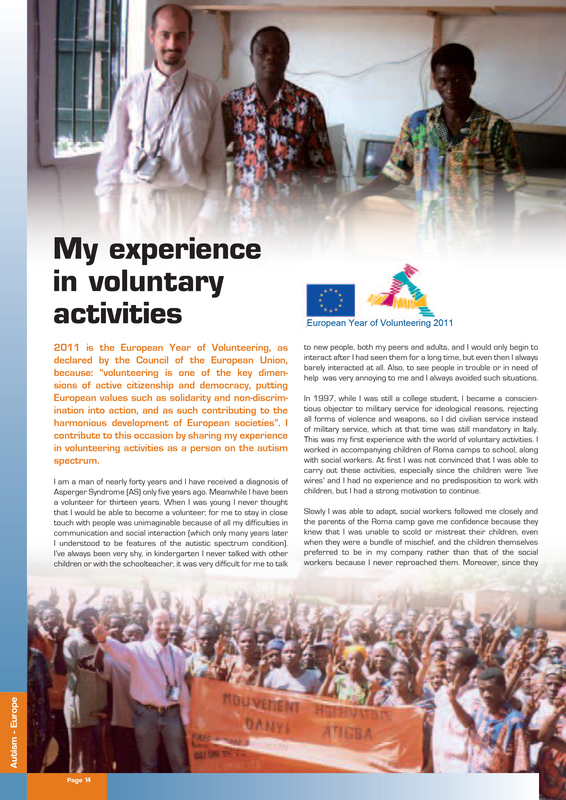 Such groups can contribute their hands-on experience and expertise in what it means to live with autism, and assist in developing actions with real and long-lasting impact. 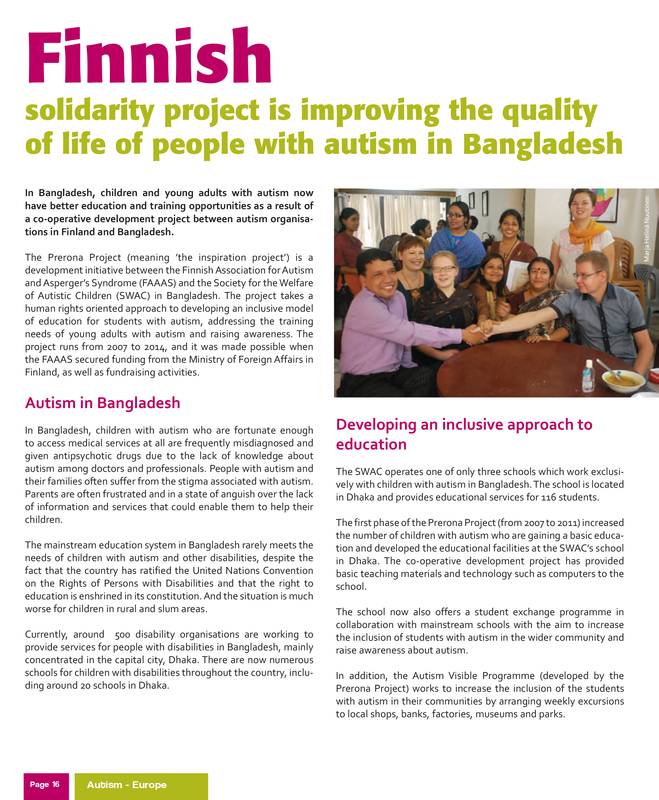 It should also be remembered that people with autism often have skills, both professional and personal, which can contribute greatly to development projects and initiatives. 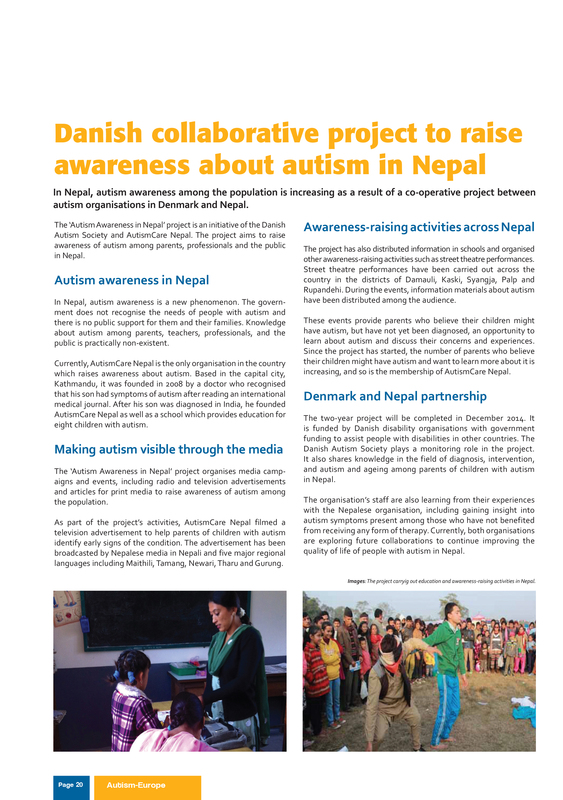 Here we would like to share some prime examples of how Autism-Europe members have been at the forefront of development projects across the globe, transmitting key knowledge and good practice with regards to supporting persons with autism and their families.